This page gives the compliance of the raw materials used for the manufacture of the Mitsubishi Chemical Advanced Materials Engineering Plastic Products' stock shapes with respect to their composition, as set out in the regulations that apply in the United States of America for plastic materials used for the fabrication of finished articles intended to come into contact with foodstuffs. 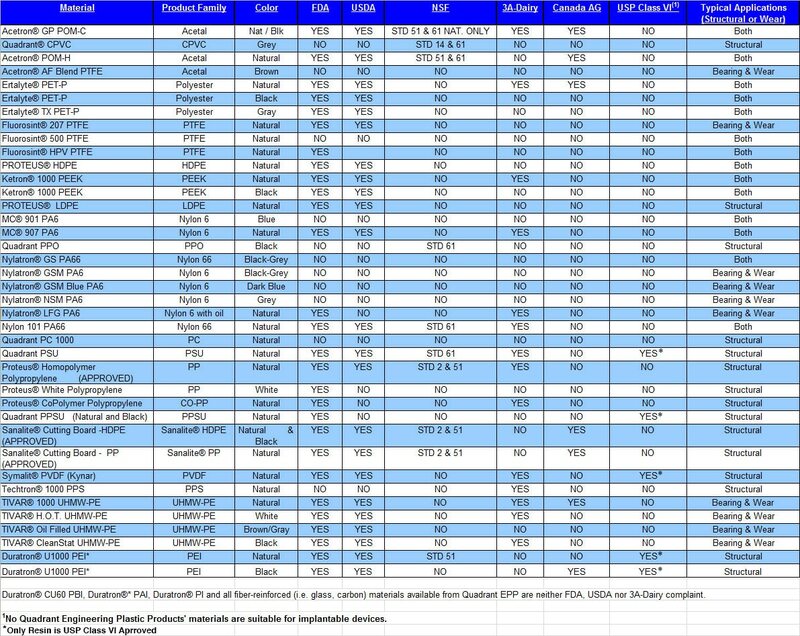 This database includes the Product Handling Information Sheets (PHIS) for the engineering plastics marketed by Mitsubishi Chemical Advanced Materials EPP. According to the “REACH” Regulation (EC) No 1907/2006 of the European Parliament and of the Council dated 18 December 2006, a Safety Data Sheet shall be provided by the supplier of a substance or a preparation to the recipient of the substance or preparation (as stipulated in article 31 of the said regulation). Our semi-finished and finished products, however, are under REACH not considered as substances or preparations but as “articles” for which a Safety Data Sheet is not required. However, as a basic rule we want to continue supplying our customers with adequate information on the handling of our semi-finished and finished products and have therefore developed ‘Product Handling Information Sheets’ (PHIS) for our different materials. Please consult us for more information.